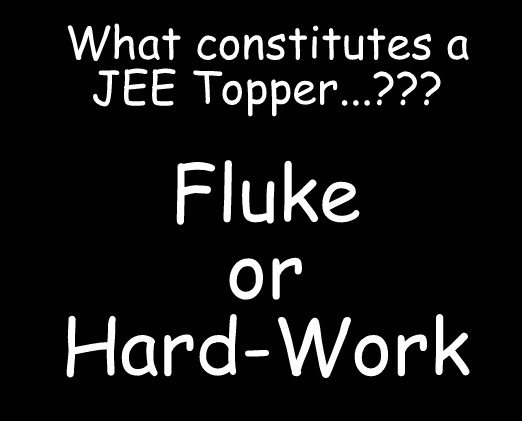 CYNOSURE IS MUSED: What constitutes a JEE Topper...??? 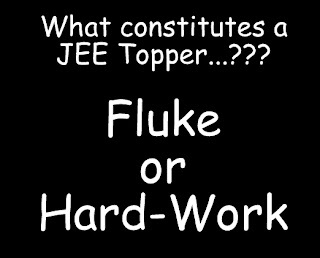 Fluke or Hard-Work...!!! Getting into IIMS for MBA also has the same problem no matter what %ile you get in CAT! Our policy makers seem hell bent on hurtling to the aforesaid tunnel. Sad. Your grouse is very genuine but the trouble is that these leaders who make rules have never gone through any tough exams i think-who can teach them?They think they know best. Students were ignoring the 12th portions and clamoring for coaching centers, wonder if this system will bring a stop to that practice. 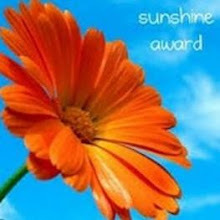 Thanks a great deal quite definitely for the high quality and results-oriented help. I will not think to endorse your site post to anybody who would like and needs support relating to this area. JEE Main 2018 exam is conducted in the first week of April, the answer key will be made available for the candidates within 10 days. The JNVST board is under the process of releasing the Jawahar Navodaya Result 2019 on the basis of written exam marks. Students can make over this chance to get the result by getting the official link which is followed by our site. So, you should never be late while finding your result as early as possible students can check out the announcements which are given by the Jawahar Navodaya Vidyalaya officials. So, by following the www.nvshq.org result 2018 6th class you can easily find the link instantly. However, at first know the JNVST Class VI answer sheets that you can know the marks of how much scored in the examination. The JNV officials will provide the JNVST Result 2019 Class VI answer keys which are officially declared by JNV board. With in a gap of one month they will release the result on main authenticated sites. The Navodaya schools has recently conducted the JNVST Entrance exam. So we have soon update the official news regarding JNVST Result 2019 District wise. Here aspirants are also check the minimum pass marks that is required for the JNVST 2019 in category wise. So applicants can turned to know here for latest updates. The Rajasthan Board 8th Exam Result 2019 is released in June 2019. We have provided the link to check the BSER 8th Board Result 2019 Name Wise. The Students will require their Exam Roll Number to check the Rajasthan Board 8th Result 2019 District wise It is expected that the board will commence the Annual Examination in Mid of March 2019. All the information is Provided on the official website of the board related to the Intermediate Bihar Board 12th Result 2019 District wise Every Year lakhs of Students Appear for the Class 12th Examinations and Study Hard to score the highest marks. The Students Who are Eligible will be Provided the Roll number to appear for the exam and the examination center will be decided by the Bihar School Board. Those students who have appeared in the examination can check their results online in the month of May 2019. Students who are eagerly waiting for their Karnataka Board PUC Result 2019 can get the Karnataka Board 1st and 2nd PUC Result 2019 alerts on their mobile and email by just submitting their details on the above-given form.